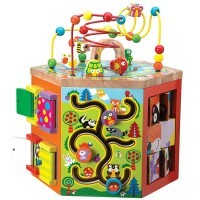 This multiple manipulative activities electronic play cube features one busy box with 5 sides of fun. Flip, slide, spin, listen, and play! 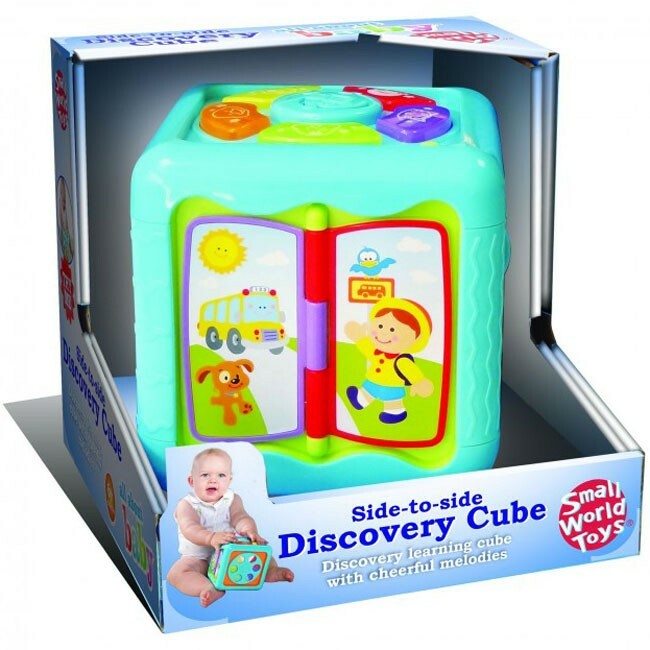 Side to Side Discovery Cube Toddler Activity Toy by All about Baby toy manufacturer, is the perfect entertainment center for babies and toddlers. One of Educational Toys Planet's bestselling toys, this multiple activities electronic toy features one busy box with 5 sides of fun. 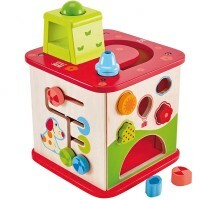 Play kids popular tunes, flip the pages of the storybook, spin the ocean roller with sound effects, press the light-up buttons for animal sounds, turn the colorful dial wheel to name the colors, slide the wiggly insect buttons, and more developmental activities to keep the little hands and curious minds occupied. 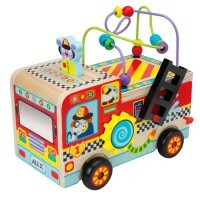 This electronic toy for toddlers features lights and sounds and helps encourage cause and effect exploration. 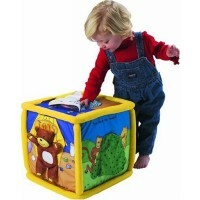 All toddlers and babies will enhance their fine motor skills and cognitive development. 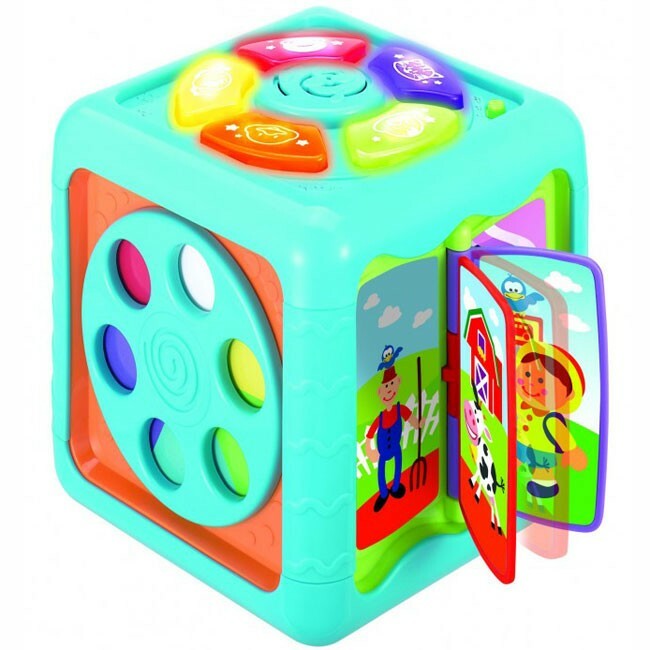 Perfectly sized for a home or daycare play room, Side to Side Discovery Cube Toddler Activity Toy comes with 2 sound levels. This kids activity cube requires 3 AAA batteries (included). 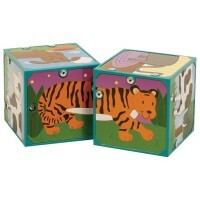 Dimensions of package 7.25" x 7.25" x 7.5"
Write your own review of Side to Side Discovery Cube Toddler Activity Toy. Rating: 5 This is my second purchase of this great toy! by By A customer I found my first one of these at a thrift store 3 years ago. I'm a pediatric OT, and this has been the most popular of my toys by far. 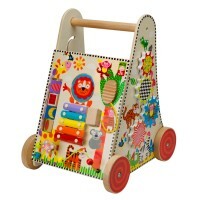 Every side has a different activity, with special music for the top and the book, and ocean noises for the spinners. 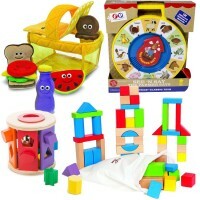 It's great for babies to learn cause and effect, and keeps them engaged. My parents have wanted to get one of these, but there's no maker's mark anywhere. I finally tracked it down, just in time to replace my raggedy old one (it still works great, but it's seen better days)! I whole heartedly recommend this as a great toy for 6 month olds and up. Rating: 5 by Teresa, WV well, it's very interesting and entertaining, but bulky and awkward. Don't get me wrong, we do like it a lot. We play with it for hours. I guess I should change from like it to love it because we really do. Rating: 4 by Deborah, FL Didn't find out it was for 12-18 months until after receiving it. Would have been useful to know earlier as intended recipient if 6 months old. Rating: 5 by Lorraine, CT My 14 months old love this toy. Thank you!